And confessed – it was me! Rev. Edward Lock Weems (1759-1825) was the author (in his Life of Washington (1800)) of the notoriously phony story about the little George cutting down his father’s cherry tree and then admitting it because he could not tell a lie. 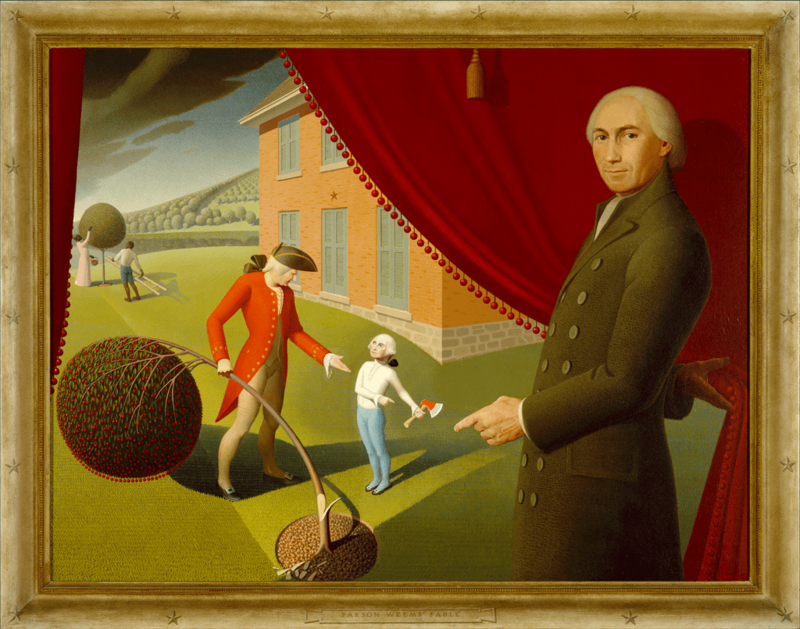 This 1939 painting by Grant Wood shows the parson and the fictional scene.